Sis. 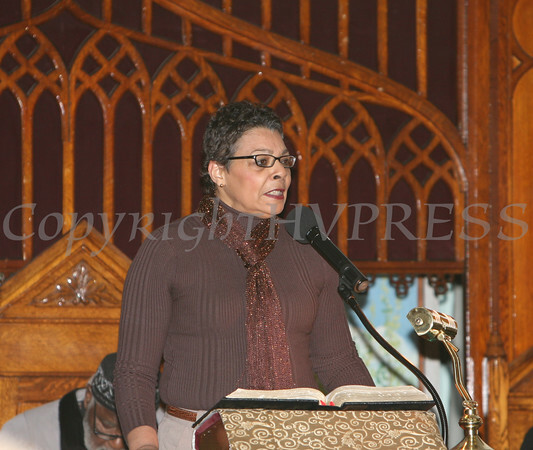 Dee Russell, Administrative Assistannt of Baptist Temple Church, offers the Welcome during the Christian Ministerial Fellowship of Newburgh & Vicinity sponsored 43rd Annual Martin Luther King Jr. celebration on Sunday, January 15, 2012 at Baptist Temple Church in Newburgh, NY. Hudson Valley Press/CHUCK STEWART, JR.